10.5.2015. I finally managed to hike Bukit Tabur East, which is located in Melawati, Selangor. I had been planning to hike the hills since last year, but it only materialised after an adhoc invitation by my friend the night before. We reach the starting point of Tabur East around 8.15am. The hiking starts at 8.30am. Apparently there were quite a number of people whom were hiking with us. Tabur east consists of several peak. The highest one of course has the best view. We met with several groups, mostly IIUM students. The total time taken to reach the peak is around 1 hour and 45 minutes. But the time can be shorten to one hour if you did not stop and focusing to reach the top rather than enjoying leisure hike. What i can say is the view from the peak of Bukit Tabur is one of the best I ever seen. Usually you need to hike mountains which need around 3-4 hours hike to reach the top and had that kind of view. After resting for 30 minutes, I made my way down. The route going down was different and much easier. It took me only 40 minutes to reach the starting point. What I can say is Bukit Tabur is definitely an interesting hill. 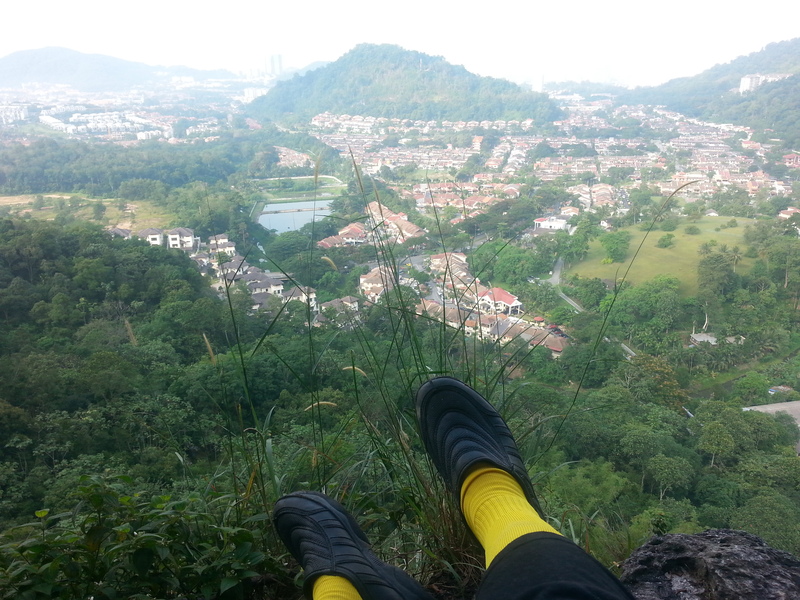 I surely would hike again , probably once a month, at Bukit Tabur.